"It gives you the ability to create custom dashboards"
As a small business owner (I am a full-time freelance photographer) whose leads are mostly generated by being found online, I wanted to be able to analyze my web data, since web presence is very important to the growth of my business. I first used Google Analytics and then moved on to Adobe Analytics after several recommendations. It has been a great help in monitoring traffic, but it does come at a cost since Adobe Analytics is not free. It is difficult to set up reporting with Adobe Analytics and a decent amount of effort has to be applied to cleaning up reports. There is a huge learning curve to understanding through Adobe Analytics. Adobe Analytics is great for large organizations. It makes sifting through tons of metrics and visualizing a combination of various metrics effortless. It, however, takes a considerable amount of time to develop the familiarity one must have with the tool to make the most of it. In a large organization, an individual, or even several individuals may have the bandwidth to learn the tool, but in a small organization, this may not be the case. A small organization may benefit from a more simple and limited tool. Our parent company used it for all the newspapers. It enables our Editorial department to understand what stories are popular and where the traffic is coming from. It also provides us with data about our traffic trend and the behavior of the audience. Report Builder -- it enables you to build custom reports for distribution. Dashboards -- it enables you to build custom dashboards for our editors. It allows prebuilt custom reports by site levels. "Set strategies for your social media"
Adobe Analytics is a very effective software, as it’s able to work with large databases with complex segmentation and generate quick results, that can automatically be printed, downloaded or exported to Excel. Another thing is that Adobe Analytics is so easy to use, even for newer users, it doesn’t take too much time to understand and master. I think the software sometimes doesn’t consider the difference on the strategies between one social media or another when it comes to analysis, and this is very important because there is not such thing as an “universal strategy”, but Adobe Analytics does not consider this fact. Another point is the price of this software, that can be expensive for companies with small budgets. Adobe Analytics is a great software for medium or large companies, with enough size to take advantages of all the tools this useful software has to offer. Although Adobe Analytics is an expensive software, it worth considering what this powerful tool has to offer. Our marketing department has implemented a lot of Adobe software to their everyday work, and Adobe Analytics isn’t the exception. Our team of analysts uses this software to evaluate, manage and report the costumer behaviors to implement strategies for getting into the market. "An ideal tool for data acquisition"
Adobe Analytics is an ideal tool, to gather all the information referring to clicks, visits and other demographic characteristics, of the different campaigns and announcements that we created in North Woods Advertising, in this way we can provide more detailed reports to our clients, giving a real and detailed information about the events and the scope of each of their advertising campaigns. the cost can be a little high to implement the whole platform of the Adobe product family in a small company, and most of these tools, separately, do not provide detailed information on all the data needed in an advertising campaign, you must acquire additional tools from the same company, to obtain everything you want. The report that we provide to our clients at the end of each job they request, are delivered in a more detailed manner, with the information that each one of them requires, with other similar tools, it is not possible to provide information on the scope of the announcements, here you really know what kind of people arrived. "There's a learning curve, but it's POWERFUL once you're up to speed. " Adobe Analytics provides insight into what our users are experiencing on the web pages that I'm responsible for. I love that I'm able to dive into data on how users are arriving at our pages, what they're doing on the pages once they get there, and what's working so I can provide the best possible experience. Like I said in my title, there is definitely a learning curve with Adobe Analytics. Though you don't need a Ph.D. in order to use the software, it takes some time to get used to the basics and specific intent to get better and better at actually using the software. I prefer Adobe Analytics over Google Analytics. We're able to now better understand what's happening on the web pages that we manage. We have insight into areas that we wouldn't otherwise have. "A positive experience to enter the world of data analysis." The interface and the distribution of the workspace was easy to understand despite not being an expert in the field, the introduction to the software is acceptable, the results and reports of the data analysis are appreciably positive, easy to understand and with a efficient graphic aspect for the understanding of someone who does not have the technical knowledge and that without a doubt helps to improve the decision making in the workspace based on the information sought. The technical assistance and learning should improve much more, the introduction, user guide and tutorial videos are useful but I feel dissatisfied since I had to go in search of technical help in other websites and forums to complement the knowledge and learn to use the tool correctly and take advantage of the available options without losing time in errors. The world of design will begin to need the use and analysis of data, surely very soon in their workspaces they will need software for this task and very possibly they can implement Adobe Analytics to begin to know the potentialities of this software. In the area of ​​projects and design it is very important to analyze the data thrown by customers and users, in our department the use of data and graphics to explain the concepts of each project and making decisions is a very important task almost indispensable for establish professional criteria based on results and not ideas, this software has allowed us to begin to understand these data and expose them in understandable graphics to be analyzed. "Lot's of options but lacking individual customization options "
I use Ad Hoc regularly pull automated data as well as look deeper into points of interest. It's easy to set up workbooks reflecting a specific date range that can easily be updated to generate new data. I also like the ability to cut data in various granularities and build segments to capture specific users. An underrated feature is the simple trended chart at the top of the workbook in ad hoc. It's nice to have a high-level visual that updates as you change your data. I do not like that there are not options for me to customize my experience in Ad Hoc. For example, there are approximately 250 report suites that I have access to, however, I use 10-20 ib a regular basis. I'd like the option to "favorite" these so that I don't waste time scrolling through the list looking for the one that I need. It is frustrating, especially when you factor in how long it takes for a new report suite to load. I also dont' like that I can't hide segments without deleting them. Whether it's segments for completely different projects or ones that have been shared with me, I would like more options to be able to organize my segments. Train your employees on what you want them to use this for. There are many tools within Adobe Analytics and specifying which they will be using and providing adequate training will lead to good results. I also recommend that someone who is skilled in the tool create a training deck that includes an overview of the tool in addition to tips and tricks. There are a lot of features and it can be overwhelming if you don't focus on what you are using it for. I use Adobe Analytics to better understand the consumer journey on the web. Adobe has helped me to uncover the pain points that the consumer has while on the site which I've then provided recommendations for revamping the experience. 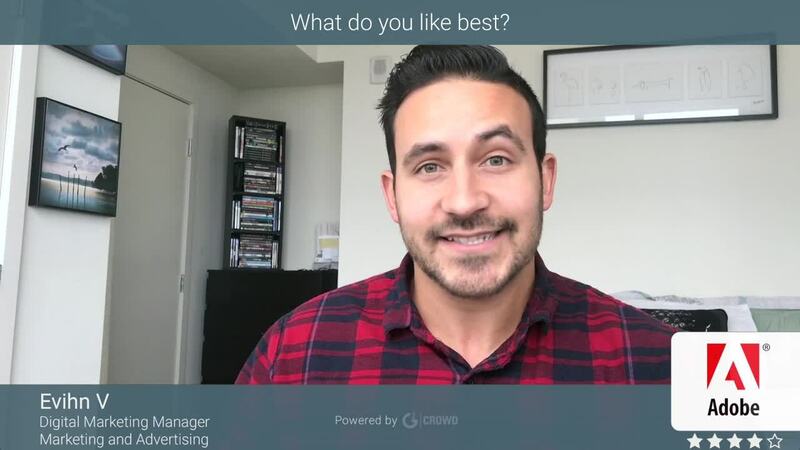 Adobe offers the opportunity to look at the experience by device type, language and marketing channel (among many others) which help to ensure my recommendations are specific and consistent. The flexibility of the workspace environment allows us to analyze so many different angles of our web traffic. I like the drag and drop capabilities, while it may seem overwhelming in the beginning it is very user friendly. Unable to switch out segmented segments. Meaning if you need to change out a segment that has other segments applied you must start over. Time consuming issue I've encountered. Considering usage of the product. If you are a single person or 5 person department it's likely you won't have the man power to set the tool up properly and analyze the data as needed. Our department consisted of 12 people and we were able to implement and analyze. It's a pricy tool based off of visitation usage. But also, most importantly the most expensive piece of the license is paying to retain data year over year. Our company is on the larger side and would like to be able to access and analyze trends. Exact price is unknown but it's likely we would have opted for five years of data, although we are retaining only 3 years of data. Analyzing funnel conversion rates and using AB testing to find the best offers and creative to drive orders. Audience flexibility, able to analyze results based on demographics, devices, audience attributes and more. Adobe Analytics has a robustness that is unparalleled by any other web analytics tool. Adobe Ad Hoc (formerly Discover) is my favorite analytics tool I've used, despite the poor user experience. Discover allows you to dive into the nitty gritty of the user journey and develop complex segments that control for different types of visitors, page names, and page views. On top of that, having the Workspace tool allows for easy point and click reporting. In order to run Adobe Ad Hoc (Discover), you have to be running Java 8 on your computer, which is an outdated version. Discover as a whole is very slow, but I also hear they are phasing out soon, even though Discover is my favorite tool within the system. Obviously Adobe Analytics is very pricey, but it is so much more robust than Google Analytics. For larger companies, Adobe is the only way to go. You can hone in on user journeys so much more easily and clearly than in Google Analytics, and you can create much more complex segments that allow you to siphon out groups and experiences. We are using Adobe Analytics to track user journeys through our website. We are looking at data from users all around the globe, so also have the site written in a variety of languages as well. We look heavily at traffic to different experiences on the site, and like to be able to segment out by new and returning visitors. We look at the user's journey from entry page to conversion or exit, and the robust segmentation allows for specific, streamlined funnel comparison. "Comprehensive analytics solution for your digital platforms"
Do analytics assessment on multiple digital platforms from one Adobe Analytics solution. Fast performance speeds even when running against a heavy historical data load. More expensive solution compared to other named digital analytics software out there such as Google Analytics, but it really gives you value for your money with it's power and customizability, it's probably the best in comparison to other analytics software. Performance can be laggy sometimes specially when you are operating multiple huge datasets. E-commerce data analysis - where customers are spending most of their time, abandon rates etc. "Great user interface and all in one analytics solution for all of your digital platforms"
Can combine various digital platforms in just one view. I use this tool to generate reports and analysis on all of our domains. Very appealing visuals and switching between trended view and ranked view. very flexible data filters. I was really surprised by the speed with which it pulls historical data. With this tool you have almost any slice of digital data on your finger tips (hugely depends on your IT's implementation). No proper governance on all the dashboards, users creates dozens of dashboards and leave it on the server with 100s of versions. Overall implementation is cumbersome and time consuming. Need proper tagging on all of your platforms as well as all hits and instances. Make sure you have solid tagging implementation, Adobe's DTM tool is a robust solution which can manage all tags at one place. "Adobe Analytics - my thoughts"
I wish there was a way that you could more intuitively add webpages to view. It took awhile and a lot of help to figure out how to correctly get statistics on the right webpage (e.g. Cisco Connected Rail). Plus, when I updated one of the webpages with a different URL, even though it had the old one, I had to manually tell the platform to connect the two. "From social listening to segmentation..."
The ability to segment, classify data coming from different sources for making decisions that are not driven by just your marketing intuition but concrete insights. The one thing that bothers me the most is the speed of the platform. At times when you are working with live (real time) data or big data sets the platform seems to lag a bit. This is kind of expected but then something that bothers you if it happens frequently. Be ready for some lags. There is a ton of things that are possible so be prepared to spend some time understanding them. Adobe has a lot of amazing tutorials to get you started so use them and explore those amazing things that this platform is meant to deliver. Solving major marketing challenges which deal with understanding the consumer data, analyzing hidden trends in them and using it to drive marketing and promotional decisions. "Monitor your website in real time"
Adobe Analytics provides great automation tools, perfect for releasing media content on website when scheduled. The interface is so friendly and intuitive that, even for newer users, it won’t take too much time to learn and the analytics, shows in real time, are great to follow up your campaigns. I have had a couple of issues with the platform and the customer support was unable to solve it quickly. They always take too much time to answer and the usually provide just basic help. Another thing is that Adobe Analytics takes too many resources from your workstation. This disadvantage is general for all the Adobe Cloud products. Adobe Analytics is a platform suited for companies in need for deep analytic tool on their digital platforms, as this software will offer a whole set of useful tools specifically for this. The resources it takes from your PC and the price for the software makes it only available for mid-size companies or higher, able to cost the whole package and take the most advantage of it. My sector on the marketing team is always using Adobe Analytics, specifically for monitoring the website of the company. It provides a general view of the number of users that access to the website, the time they spend in there and their demographics. ""Most loved site examination device""
Adobe Analytics has a vigor that is unparalleled by some other web investigation instrument. Adobe Ad Hoc (once in the past Discover) is my most loved examination device I've utilized, regardless of the poor client experience. Find enables you to plunge into the bare essential of the client venture and create complex portions that control for various sorts of guests, page names, and site hits. In addition, having the Workspace instrument takes into consideration simple point and snap revealing. So as to run Adobe Ad Hoc (Discover), you must run Java 8 on your PC, which is an obsolete form. Find in general is extremely moderate, however I additionally hear they are eliminating soon, despite the fact that Discover is my most loved device inside the framework. Clearly Adobe Analytics is expensive, however it is a lot more powerful than Google Analytics. For bigger organizations, Adobe is the best way to go. You can focus on client travels a lot more effectively and obviously than in Google Analytics, and you can make significantly more intricate sections that enable you to guide out gatherings and encounters. We are utilizing Adobe Analytics to follow client travels through our site. We are taking a gander at information from clients all around the world, so additionally have the site written in an assortment of dialects also. We take a gander at traffic to various encounters on the site, and like to have the capacity to section out by new and returning guests. We take a gander at the client's voyage from passage page to change or exit, and the strong division considers explicit, streamlined channel correlation. "Opens unlimited metrics, but user beware"
Adobe Analytics provides a vast array of metrics to track. The ability to slice by audience or by activity helps refine the enormous amount of data into byte sized pieces. There is a steep learning curve to the platform. Unless the user has experience in it or has extensive training, it can become cumbersome. The one element that i appreciate from SFDC is a community for learning. I feel that Adobe could learn from this and implement a message board system. I am currently looking at website traffic as it pertains to unique visitors. I was able to segment specific pages to get a better understanding of trends over time. "Data, data and more data"
Adobe Analytics has a nice interface and presents the data in an easy to understand way. In addition, the possibility of downloading any type of graphic in different formats makes the task of reporting much simpler. The filter tabs are another high point of the tool, with the possibility to filter between many metrics, create segments and quickly access the sections that we use the most. The information of Adobe Analytics is not always easy to process, in general it is necessary a prior knowledge to be able to understand and use the diverse metrics that it offers, unlike other analytical tools in which it is easier to understand at first hand what is treat each value. Two of my clients specifically use this tool to report metrics on their sites. They ask us for very specific data for which we have received prior training in order to understand them more easily. "Powerful Web Analytics Platform, But Steep Learning Curve for Some Features"
Adobe Analytics is a very powerful web analytics platform that lets you view the standard web analytics KPIs such as sessions, page views,, bounce rates, exits, etc. It also lets you create a nearly limitless variety of custom events, custom segments, and highly customizable charts/dashboards. Adobe Analytics is difficult to implement (especially for those without direct experience). There is also a steep learning curve for many features. For example, the sheer number of options when creating a custom report can be daunting for beginners. However, once a user passes that initial learning period, the software does start to make more sense and become intuitive. It's a much more expensive solution than Google Analytics, but if you really need power and customizability, it's probably the best analytics software on the market. We are trying to analyze the web traffic of our clients to see where their marketing dollars can best be spent. Adobe Analytics does an excellent job of helping with this goal - as long as tagging is set up correctly, it's very easy to see where web traffic is coming from (SEO vs. paid search vs. social, etc. ), and how users from each of these sources interacts with the website and how often they convert. "Robust and ever growing solution"
There’s an analytics dashboard platform called Analysis Workspace, and it makes report building for dashboards very easy and intuitive. It doesn’t take long to teach a new user how to utilize this this tool. I also like their new innovations and webinars that they provide. Lastly, their client care services can be quite helpful! Some of the interface is still from the old version of the system, omniture, so the UI isn’t as seamless and simple as I’d wish. Also, there’s a lot that we have to configure to get the most out of the system. Ideally, I’d like to minimize developer dependence and do as much as I can as a marketer. Switching over to DTM, their tag management system, has helped with that immensely. Our campaign managers and business units are heavy users of the data we provide via AA. We’re able to show holistically how certain campaigns or products are performing. There’s a lot of different tools for different types of reporting too. If we need to go far back in time and fetch a lot of data, the data warehouse tool helps us do that. ""Extensive investigation answer for your computerized stages""
Can join different computerized stages in only one view. I utilize this instrument to produce reports and examination on the majority of our spaces. Appealing visuals and exchanging between inclined view and positioned view. truly adaptable information channels. I was truly amazed by the speed with which it pulls chronicled information. With this instrument you have practically any cut of advanced information on your fingertips (gigantically relies upon your IT's execution). No legitimate administration on every one of the dashboards, clients makes many dashboards and abandon it on the server with 100s of renditions. By and large usage is bulky and tedious. Need legitimate labeling on the majority of your stages just as all hits and cases.We create deals reports and utilize this stage for source traffic announcing seek terms advancements, crusade AB testing. we break down by and large site execution for different IT usage on client improvements. We create deals reports and utilize this stage for source traffic announcing seek terms advancements, crusade AB testing. we break down by and large site execution for different IT usage on client improvements. "The best web analytics tool"
What I like the most is the large amount of reports that it throws, although it can often be overwhelming, so it is necessary to make a good software configuration. The segmentation is quite good, they can be combined in an unlimited way. You can access the data directly, without processing. The real-time data are quite accurate, they also have a large number of custom conversion and traffic variables that allow more accurate tracking. The price of the license is quite high and the initial configuration is quite complex. Specialized personnel are required to adjust it every so often. The learning curve is uphill, the configuration isn't easy to do either, it's necessary to have specialized help. It's a very complete software in web analytics. It's the web analytics tool that we use in the company where I work, it has helped us to make decisions according to the reports it offers us. It's a bit complex software at the beginning but with some study you can take advantage of its potential. The kind of customization it offers in the form of conversion variables, success events, traffic variables and classifications. Also, Analysis workspace not only offers appealing dashboards, but also offers is in creating segments from the dashboards. The performance of the tool is slightly slow. Also, the account keeps logging off often. It offers a lot of customization. If we can leverage these customizations, Adobe Analytics will provide great insights. The kind of customization it offers is in the form of conversion variables, success events, traffic variables and classifications. We are tracking entire e-commerce flow for our clients to understand where users are dropping off. This in turn helped in increasing the purchases. We are tracking various features of our client's website, to understand how users are using those features. This in turn helpiing in catering to customer needs as well as keeping him engaged. We are classifying our client's campaigns appropriately so that client can wisely invest in respective campaigns. The customization of the tool and the powerful data analysis tools to dig in as deep as I need. The segmentation, breakdown, and AI built into the tool is amazing. To get value out of the reports, you really have to know how to implement correctly. Google Analytics has default reports that make so much sense and are very useful, but Adobe does not. Adobe also does not have a good attribution or multi-channel reporting solution. Yes, they have A solution, just not a GOOD solution. It is also very expensive and they don't have a good solution for the little guys. Max out Google Analytics first. Do not go to Adobe Analytics until you are a constant user of Google Analytics and have no more you can do with it to get the data you need. Once you are at that point, that's when Adobe Analytics will make sense. We are able to analyze web application data to understand the impact of our marketing efforts, and the performance and usability of our website. It helps us to use the data to make better decisions. I have used other site analytics software and for a company with many different branded sites, Adobe Analytics is the only software that has made it easy for a novice like myself to actually pull the data I need. Easy to filter to the information I want, dates, I want to see, and visualizations included directly in the tool. Because there are so many options, it can be difficult to decipher which metrics to use when pulling data. For instance, if I want to know where traffic to a specific page came from, there are 3 options to choose from. I could use a better way to search for the definition so I understand what data I'm looking at. I'm purely using Adobe Analytics to pull site metrics. Through Adobe, we're now able to look at true activity on sites and make updates/create tests based on this data. "Deep Insights and Business Intelligence with a Learning Curve "
The ability to granularly dissect your online traffic and make appropriate business changes to maximize conversion and performance. With appropriate planning and a little background in your development department, it is fairly easy to set up different s.props, evars and events. There is definitely a bit of a learning curve, and if you require support directly from Adobe, it is pretty expensive. There are also independent contractors who can assist in setup, but they are also expensive. That may make this an unobtainable product for some smaller to medium size businesses. There is a free tool the Omniture Digital Pulse Debugger, that can help you customize your Omniture settings when setting up or trouble shooting. Omniture has been very helpful for us in determining page significance and usability. We have been able to correlate specific events to conversion and drop off to help us maximize out user performance on both our website and mobile apps. "Helps you to get actionable insights and to take business decisions based on the customers behaviour"
There are many things included in adobe like workbench, report builder, worksapace, adhoch analysis and so on, best things which I like is workspace and adhoch analysis, because of this two, deep diving became easier, get insight at very granular level, worspace is comparitievly fast. If you get stuck and confused then you have to rely on trainining material, community is not so vast, and very less people know about this product, go getting help is very difficult, and also to get trained on this by adobe is very expensive. If you want to take decisions on the tracked data then better you track in the right way, adobe analytics is the helps us to do it correctly, it has more positive results when it comes to data and reports, and moreover to understand you don't have to be a technology geek, is interface is much user-friendly and easy to understand, want to take the right business decisions,and want your traffic to convert at a faster rate, Adobe will definitely be going to help, It has some of the cool things like workspace ad-hoc analysis, which will make your life easier, and heels you to dig deeper into data fast and get meaning full insights, but it wont come for cheap, its one of the expensive product in the market. eCommerce business, mostly it tracks the visits,revenne, margin, helps us to track the campaigns running, helps us to understand the customer interesettheir behaviour which leads to increase the converions. "Great Tool for Web Analytics"
We used to use Tealium, but then switched to Adobe Analytics and found it be way better in its versatility, ease-of-use, and its overall tracking capabilities. As with any web analytics tool, there is a significant learning curve. We also had some issues with synchronization, but we were able to overcome that with their great support. Absolutely go for it! Adobe offers better pricing points when combined with other tools, and since Adobe already has so many great tools for different business needs, it's absolutely worth checking out! We used web analytics to determine where our customers were going on the website, what they searched, clicked on, filtered, sorted, etc. We used it to track every movement, click, and button press from customers on our website; that way, we could better construct our website to their needs in a much easier fashion. The user interface is a bit difficult to understand at the beginning. It takes a bit of technical knowledge to customize and integrate with other applications. It has many functions so you have to analyze what is relevant and what is not according to the needs of each company. It helps our business better understand our consumers. Breaking down what they want, what they need and what they believe. Creating these variables generates insight to how our consumer thinks and can be used to promote future sales. There are many similar options such as google analytics that produce the same outcome without the extra costs. Take your time to fully understand the program. It offers multiple features that can increase business projections and it is crucial to success that you fully understand the program and its capabilities if you are planning to utilize its fully potential. Understanding our audience is the key to success the clearer picture we have around our audience the more productive and efficient we can create campaigns. "Dynamic Platform for many Industries"
Dashboarding capabilities are severely limited unless you have multiple stake holders using workspace. I wish the native dashboarding and visualization tool was as dynamic as workspace with an export and scheduling option that didn't require users to have a license to review. I'm already paying a significant amount for the tool. We don't need a "Tableau" licensing model for workspace. "Multilingual, customizable, efficient documentation, reliable, continuous development." Adobe analytics is an extremely reliable service. It provides custom variables to allow extensive customization. It provides efficient documentation which can easily be downloaded, imported and printed. It is available in multiple languages. Its support is sometimes very slow in sending responses. Its implementation is also quite difficult and overwhelming for beginners. The user interface isn’t very intuitive either. Anyone using an analytics software for the first time might be overwhelmed by its complexity and may want to consider some other software with better, simpler and easier features. Its support is also not very helpful which can create difficulty. However someone who has experience of using analytics software may want to consider using it. Adobe analytics is a feature of adobe marketing cloud. It is highly efficient, customizable and provides continuous development opportunities. To use all services users require valid subscriptions. "Flexible Tool Yielding Powerful Insights"
I value the flexibility and power of this tool. The fact that the possibilities for data capture with this solution are basically endless, meaning that in the right hands it can enable customer fingerprinting/LTV/customer acquisition cost reporting and analysis, custom revenue attribution logic, and various other advanced analytics concepts, making for extremely powerful insights applicable to all areas of our business. The fact that it is at first non-intuitive for new users; the fact that I cannot fix/modify historical data; the fact that I cannot interact with it in the way I would a relational database (for understandable reasons; I know this is intentional); and finally, obtaining support in some instances can be very difficult: for example, getting someone at Adobe to provide a basic understanding of VISTA rules we paid to have put in place years ago was a time-consuming challenge. You'll need a consultant, or someone who has done this before to assist with a successful implementation. There's also a book we found very helpful called "The Adobe Site Catalyst Handbook"
We've used it to implement a complex tracking taxonomy for our external paid marketing campaigns. Utilizing it in this way, we've begun to realize benefits in the form of sophisticated insights allowing us to optimize paid marketing channel spend on campaign, ad-group and keyword levels. "Esta app proporciona muchos datos útiles"
Adobe Analytics tiene una interfaz agradable y presenta los datos de una manera fácil de entender. Además, la posibilidad de descargar cualquier tipo de gráfico en diferentes formatos hace que la tarea de informar sea mucho más simple. Las pestañas de filtro son otro punto importante de la herramienta, con la posibilidad de filtrar entre muchas métricas, crear segmentos y acceder rápidamente a las secciones que más utilizamos. La información de Adobe Analytics no siempre es fácil de procesar, en general es necesario un conocimiento previo para poder comprender y usar las diversas métricas que ofrece, a diferencia de otras herramientas analíticas en las que es más fácil entender de primera mano qué es cada valor. Es una herramienta muy poderosa para reportar métricas de diferentes tipos, aunque es necesario entrenar de antemano para poder obtener todo el jugo y usarlo en su mayor potencial. También,prepárate para algunos retrasos. Hay un montón de cosas que son posibles, así que prepárate para pasar un tiempo comprendiéndolos. Adobe tiene muchos tutoriales increíbles para comenzar, así que úsalos y explora las cosas increíbles que esta plataforma debe ofrecer. Estamos tratando de analizar el tráfico web de nuestros clientes para ver dónde se pueden gastar mejor sus dólares de marketing. Adobe Analytics hace un excelente trabajo al ayudar con este objetivo: siempre que el etiquetado esté configurado correctamente, es muy fácil ver de dónde proviene el tráfico web y cómo los usuarios de cada una de estas fuentes interactúan con el sitio web y con qué frecuencia lo convierten. "A leader in third party analytics"
I would love if Calculated Metrics could be shareable - similar to how folders of segments can be shared. Support is sometimes slow to respond. The key considerations are price (it is expensive), tech ability (can be complicated), and the extent of what you want to measure. For some smaller sites, a free tool such as GA might be a better option. Using tools to turn vast streams of web data into insights that everyone can act on. Data from any channel brings it all under one roof to deliver real-time insights based on true 360-degree stats. "Superb user interface inside just addition about all within just the particular single solution"
May mix several electronic systems within just 1 take a look at. We individually utilize it in get involved order within purchase to generate reviews within addition evaluation on practically just about all within the own very own domains. Actually appealing pictures furthermore transforming between trended notice plus ranked notice. extremely flexible details filtration systems. Most associated with us has currently been really amazed basically by just the particular particular speed which usually generally usually this drags historical information. Together with this particular specific specific device the individual have got practically almost any decrease of digital home elevators the specific little finger concepts (hugely will count on your own personal It can implementation). I wish currently presently today there was certainly the particular method you might more with out function add websites inside order to find out. This required a while plus lots linked with help to determine aside exactly how in purchase to properly obtain data across the proper web site (e. g. Barullo Connected Rail). In add-on, once i up out dated one associated with each other with the web sites and also the various WEB DEAL WITH, although this experienced the 1, All of us all had to finish up becoming able to merely by hand tell arrange for connecting the particular particular particular 2nd. "Robust Data Analytics for Any Business"
I can spin out some highly detailed reports and analysis quickly and efficiently. There are so many different options here. Obviously, the biggest limitation is how it is installed and instrumented on the site, but I'm fortunate to be operating on an incredibly detailed data layer. For all of its robust capabilities, it can actually be clunky from a technology standpoint. Some of the installations on our site can hurt load time and create SEO conflicts. I hate that they're no longer providing support for Adobe Analytics Ad Hoc Analysis. While Workspace is GREAT, Ad Hoc is where I find most of my value. Muscle memory is a HUGE part of this product. It takes time to learn how to use it. I was previously ONLY using Google Analytics, so there was a learning curve to switching to Adobe Analytics. It's a massive, beautiful resource that takes data analysis to the next level, but it's also only as good as the administrators running it. Ours are incredibly detail-oriented and get how to instrument it well. What business problems AREN'T we solving with Adobe Analytics right now?! We can't make any decisions without the massive wellspring of information Adobe Analytics paces at our disposal. "I will be using Adobe Analytics Analysis Workspace exclusively"
I use Adobe Analytics to to pull a high-level report on the main KPIs of the site, and to compare more than one segment in a report. I find myself needing to compare multiple segments on a consistent basis. There was a recent situation where I wanted to take an extremely large list of campaigns and compare them by groups of about 10 or more based on a few characteristics or qualifiers. These “segment fallout reports” allow for some interesting reporting. I’m a huge fan of Adobe’s calculated metrics, however, ever since they upgraded their calculated metric builder, I’ve noticed that very often you do not get a “total” number. Instead you will get an “n/a” value.
" Easy to use and accurate in results, just what I need"
This software has become the solution of my day to day, I work with advertising and studying market segments and without Adobe Analytics I simply could not. What I like most is that it performs an advanced segmentation that gives me a complete knowledge of the clients, besides the statistical data that it offers are so complete that they allow me to create strategies on my target. I do not find contras in this software, however, it can improve in interface areas to make it easier for new users. I believe that it is on the right track, they should only implement new strategies for the study of the market and facilitate the work of the user. "Easy to use and dependable software"
Adobe allows you to keep organized and be in better control of your business. Once installed, Adobe Analytics allows you to easily compare certain statistics within your business or between certain employees. It does a lot of the manual work for you. It takes a little bit to understand how it works, but once you do, it's great! Install and set up isn't the quickest or easiest. However, it's worth the stress of set up once you get it up and running. Organization, data collection/storage, easy retrieval at a later date. Adobe allows my office to keep track of old, existing, and future data to compare at a future date and help us change or maintain our strategy depending on the numbers and calculations we get from our adobe analytics software. "A niche data analytics tool"
Considering the brand value Adobe realizes, I considered using this data analytics tool for collection and reporting of data for my personal assignment. The vastness of the data was quite impressive and I was very impressed with the measurement analytics as well. While this analytics tools is quite dependable, I would certainly appreciate to see competitive pricing for availing this service. There are other better services that offer more concise and comprehensive service than Abode. Adobe Analytics is certainly worth considering for basic market research. However, there are better options available in the market for this particular segment. I used this application for one of my internal projects at a company I worked for. As mentioned earlier, the measurement analytics was good learning for me personally. Could combine various digital programs in just one view. I prefer this tool to generate reports and evaluation on all of our domains. Very appealing pictures and switching between trended view and ranked view. very flexible data filtration systems. I had been really surprised by the speed with which it pulls historical data. Flag Analytics is difficult to implement. Right now there is also a large learning curve for many features. For example, the sheer number of options when creating a custom report can be challenging for beginners. However, once a user passes that initial learning period, the software does begin to make more sense and become intuitive. In case you are doing e-marketing, then you might consider Adobe Analytics, as it's rolled into the whole Adobe Marketing Suite--where almost all of the other offerings are geared in the direction of ecommerce. In case you're just achieving this for publishing or basic website measurement, though, you can paying for far more than you want/need. "Exceptional user interface within addition all within the single analytics answer for almost all tho"
May mix numerous electronic systems in just 1 view. We individually utilize it in purchase in order in order to generate reports within addition analysis upon nearly all in our own domains. Really attractive visuals plus changing between trended see and rated see. very versatile information filters. We has been actually surprised simply simply by the speed which usually it pulls historical data. With this particular particular tool a person possess almost any kind of cut of electronic home elevators the particular finger recommendations (hugely depends upon your It can implementation). I wish currently there was obviously a technique you could more without effort add webpages in order to view. It required awhile and lots of assist to figure away how to properly get statistics around the right webpage (e. g. Cisco Linked Rail). Plus, once i updated one associated with the webpages along with a different WEB ADDRESS, even though this had the 1, I had in order to by hand tell system for connecting the particular 2. "Great experience with Adobe Analytics"
The Adobe Cloud , including Adobe Analytics has been extremely useful with analyzing client campaigns. We will continue to use it in our future projects. Full features are not utilized, should give a demo for us to learn about full features. Have used it to analyze client campaign data. This reporting suite provides real-time data on traffic, conversions and enables us to evaluate the results of A/B tests by assigning unique variables to each test candidate. Data is exportable, and illustrated in a number of ways, and customer service is reasonable responsive. Adobe Analytics is not easy to implement, and without developers with real expertise and experience in doing so, will not be a valuable source of data. For best results, larger companies might well want a dedicated resource dedicated solely to maximizing the effectiveness of the software. Adobe is one of primary reporting tools, and I'm checking it multiple times a day for near-real time sales data. It is also our go-to mechanism for evaluating A/B test results, differentiated by unique names assigned in the testing set-up process. Workflow reporting is the best tool added to Adobe Analytics in years! The Admin console is like something out of 2000. It's slow, clunky and did I mention slow? Adobe Analytics is a great tool for analyzing your site and mobile app, but the learning curve is a little steep. Make sure you invest the time and as well as the human capital in implementing your solution. For any company of decent size, this is not the job of one or two people. You need a team of implementation specialists and analysts that can help you get to the next level. Digital engagement of our customers who use our website and mobile application. This is measured against in-store activity and then correlated to understand our customers' blended experience. "Strong analytics platform, but with poor documentation and support"
Omniture/Adobe Analytics is incredibly flexible. I can create custom variables for all our various report suites, and then build dashboards for internal (and in rare cases, external) stakeholders. While the UI takes some getting used to, it is at least internally consistent--the submenus nested within OTHER submenus might not be how I'd design something, but the organization logic makes sense so that a new user can adjust and find new things on his/her own. The documentation for Omniture is frequently stale, and the support is offshored and frequently doesn't understand its own product. In one case, when trying to change page tags, documentation asked us to use a "tag manager" product in Adobe. Upon asking support about this, they tried to sell us a consultant to help with the implementation. Upon further digging, it was revealed *by support* that the product no longer existed, meaning they'd attempted to sell us consultant time for phantomware. Most interactions with support are like this--they're well-intentioned, I'm sure, but don't undrestand the product or keep up with its updates. If you're doing e-marketing, then you might consider Adobe Analytics, as it's rolled into the entire Adobe Marketing Suite--where most of the other offerings are geared toward ecommerce. If you're just doing this for publishing or basic website measurement, though, you'll be paying for far more than you want/need. This is for digital publishing, so for the most part the questions boil down to "what content is most read, by whom, and why?" This informs editorial decisions. We also have some level of tracking that looks at "where are people clicking, and why" which helps with site design in order to increase user retention. In general, we are better able to position our content both off-site (think SEO, social media) and on-site (think recirculation modules) because of the data we get out of this platform. "Adobe Analytics is a great web examination tool "
Adobe Analytics is an web examination tool that gives you a chance to see the standard web investigation like KPI's, for example, sessions, site hits, skip rates, exits, unique visitors. It additionally gives you a chance to make an sort by the event type and you can see this sorted information in a dashboard or related sheets. Adobe Analytics is hard to actualize it and is hard to use for beginners. Sometimes it shows to much information for the end user and it's a bit slow. It's a considerably more costly arrangement than Google Analytics, yet in the event that you truly require power and adaptability, it's likely the best investigation programming available. We are attempting to examine the web activity of our customers to see where their advertising dollars can best be spent and how clients from each of these sources associates with the site and how frequently they change over. "Adobe Analytics is powerful analytics tool"
Adobe Analytics was great at getting very granular into the data. It's also a very intuitive and easy to use tool. Whenever updates are made it notifies you before logging in so there are no surprises. It's great at channel performance and well as path level reporting. It clearly lays out to you your top pages and what which pages are performing. It provides good insight in where to spend your time updating a site and was also the first to point out red flags, like tracking issues. For better or for worse, Adobe Analytics can sometimes be too granular. While I praise it for giving such in depth information there's no easy way to translate the data. It's also not the best at handling multi-users. My company used Adobe Analytics to power it's many hundreds of sites but every time I'd link to one I had to re-click through the latest updates. It was built into our platform so we never had to sign in directly to Adobe Analytics but somewhat frequently it would drop my credentials so I'd have to start the whole process of logging in over again. I recommend people considering using Adobe Analytics complete a trail and any kind of training you can get your hands of. Adobe Analytics provides valuable data but if you're not sure how to interpret it you won't get far. My company used Adobe Analytics to power our in house analytic software. We use Adobe Analytics on all of our accounts (hundreds). "Easy to implement it in 3rd party tools"
It is very easy to connect to a wide range of native and 3rd party tools to bring their data to the tool for analysis. Adobe's support is not based in US, thus it takes forever to get help and response. 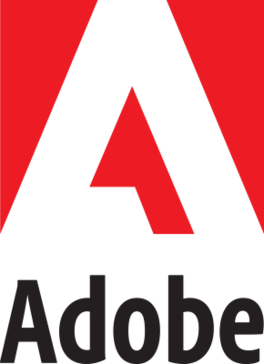 It is very important for Adobe executives to first hear from its customers and try to understand their concerns of using the product. Although the company is still an industry leader, it is better to understand what competitors are trying to do to gain more market shares and why Adobe users are switching to competitors' products. * We monitor all Adobe Analytics reviews to prevent fraudulent reviews and keep review quality high. We do not post reviews by company employees or direct competitors. Validated reviews require the user to submit a screenshot of the product containing their user ID, in order to verify a user is an actual user of the product. Hi there! Are you looking to implement a solution like Adobe Analytics?